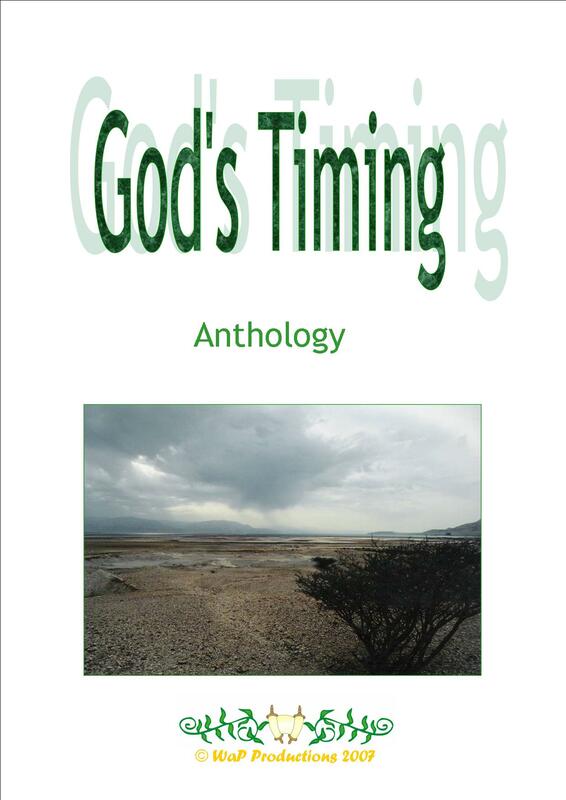 Anthology with testimonies, devotionals and poems about God's Timing. Compiled from the writings of 15 Faith Writers members. Sales go towards "talking Bibles" for blind people in Malawi and Mozambique. This "God's Timing" Anthology is a great gift to encourage and bless family and friends. Each of the fifteen authors shares how God's Timing played an important role in their lives. Bill and Christina van der Zande, Kathleen Angell, Justus Ondieki, Mark Crossley, Sharon Laurens, Michell Lowndes, Sharon V. King, Hope Grizzard, Sammie Roberts, Debby Mooneyham, Donna Watkins, Brian Dorricott, James Adioo-Baidoe and Al Boyce. Sales of the book (both E-book and printed copy) are towards the project "Talking Bibles in the Chichewa language for the blind people in Malawi and Mozambique. Hard-copy is available via web-site: http://christinaboerma.com.